I’ve been watching Apple, Google and a few other players very closely these past several months. Late Thursday night I caught a Wall Street Journal report about Apple joining the fray of Google, Yahoo and others who are reportedly “going after” Hulu, the popular online TV streaming service. This is only part of the picture, but it shows how serious the big players – especially Google and Apple – are about connected home media. Home Theater PC’s are for all intents and purposes no more. But connected home is just beginning to move to a bigger role. Stay tuned for more because its about to get interesting. Plex, the popular Mac-fork of the XBMC project released an interim update to Plex V9 with V0.9.3.3. Plex is HTPC software that allows you to use a Mac, Windows or Linux computer as a media server and a Mac or Roku, LG TV, Samsung Blu-ray Players and TVs, or mobile device as a client. 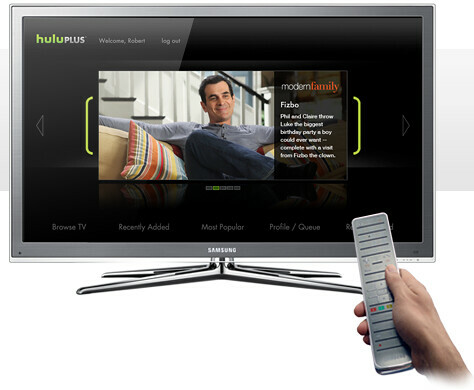 There is not TV/DVR functionality, but movies, music and other media are all part of the program – much like XBMC. Support for deleting files in the library. Initial support for Photo library sections. Support for DTS > AC3 transcoding in transcoder (useful for LG TV, ATV2 and others). Windows/Linux Support for timed and automatic library refreshes. Support for “Various Artists” (compilations) in music sections. Initial support for multi-disc albums in music sections. Much faster TV and music metadata loading. Many enhancements to the Plex Media Server API. You can read the complete list of changes in this update and get the download at the Plex website. The update will also be available as an auto-update in the next day or so. Roku today announced the Roku 2 lineup. Dave Zatz has been machine gunning the web with info he’s pulled together before the announcement so we know quite a bit about it already. This device has some unique features and seems to be a nice step up from the already popular Roku devices so lets review the details. Roku became popular in the beginning because it was one of the first devices to allow official support of Netflix Movie Streaming. Better yet, it continued to be one of the best if not THE best implementation of netflix streaming on a hardware device. Over time they connected the Roku with additional online services and allowed you to stream media from a computer or NAS. Check here for a complete list of online content sources available for the Roku. It’s a pretty impressive lineup. This controller is included with the $99 Roku 2 XS or you will eventually be able to purchase it separately as an accessory for $29 if you go with one of the two lower-end Roku models. Now if you have that newfangled remote your going to want to play games aren’t you? While MrsGeekTonic, a serious “Angry Birds fan” isn’t sold on the idea of playing Angry Birds on a non-touch-screen device like your TV I still think there might be a place for some casual gaming with a Roku or other TV-connected device. I see this being a selling point for the Roku during the holiday season just like the Nintendo Wii once was. I think trivia and simple games might work in this arena but we’ll just have to see how well it is implemented. If you don’t think it will work, just try telling that to Google who I think plans to make this an important part of GoogleTV going forward. I should note that I have yet to see any games beyond Angry Birds mentioned on the Roku website. I’ll be watching this closely. Another thing to note is the limitation mentioned on ZatzNotFunny that to store more than 4 games on the Roku, you’ll need to use a MicroSD card. I’m not 100% sure I really have a place for a Roku device, but I think many people will see value in it. I’m seriously considering reviewing the Roku XS. One of my favorite home media devices is the Sonos Music System. Today Sonos announced a new addition to their music-streaming hardware lineup, the Sonos Play:3. The Play:3 is a smaller, all-in-one streaming music player priced at $299. Like the very popular larger Sonos S5, the Play:3 gives you access to your digital music collection served up from a PC or NAS as well as access to most online music services including Pandora, Sirius, Spotify and many more. This new device includes three digital drivers, one tweeter and two mid-range amps. This device does not include a subwoofer so I would assume it’s intended for somewhat smaller rooms. Like all Sonos devices this system is controlled by Sonos’s own controller or an iOS or Android device. I might add this device in a bedroom or small office where space (or cost) was a concern. Early reports are that the sound quality is very good, but for larger rooms or if you’re only planning to have a single Sonos device, I’d still go with an S5 or one of the others where you use your own speaker. It does fit in just below the S5 for their lineup and looks to be a solid addition to the Sonos Family. Today I received my Google Music beta. I’ve been playing with new Spotify Music service for the last several days so this just multiplies my music testing to do. My really-quick first impression is that this service has potential, but has a ways to go still. But I’m paying attention to all of Google’s media offerings since I see a comprehensive, all home-all internet, Google Media solution evolving here. Are you part of the Google Music Beta? If so, what do you think so far? Read more about Google Music & sign up for an invite here. We’re in the heat of the summer. If you have a good air conditioner there’s actually a few good premieres coming this week and next. Read on for the GeekTonic weekly TV update highlighting all the new premieres, finales and specials coming up. Women’s Soccer FIFA World Cup Final (2pm on ESPN) If you are a sports fan, watch this. This is a great accomplishment by the U.S. women’s team! Big Rich Texas (9pm on Style) New reality series centered at a posh Texas country club. Heat Seekers (10pm on Food) New food show with a focus on spicy food. Hollywood Hi-Tech (9:30pm on DIY) New home design series that does home tech makeovers for famous people. First episode has HBO's "Entourage" star Kevin Connolly's little used bar room being transformed into a tricked-out screening room.